The jewel of Indonesia, Bali has some of the most spectacular places to scuba dive in the world. Teeming with sea life including giant turtles, manta rays, reef sharks, sunfish, and a myriad of other sea life, and with reefs abounding in rich vibrant multi-coloured corals, the breathtaking diversity of Bali’s scuba diving experience will stay with you forever. Whether you are taking advantage of the safe waters, highly qualified instructors and reasonable prices to qualify for your PADI diving certificate, or if you’re an experienced diver challenging yourself by venturing underwater far offshore, Bali has something for you. From the spectacular diving inside the USAT Liberty wreck off Tulamben, to drifting above the reefs of Nusa Penida and Nusa Lembongan, taking in the delights of Padang Bai’s Blue Lagoon, feeding the sharks off Menjangan Island or marvelling at the underwater temple of Permutaran – Bali should be on the bucket list of all divers. 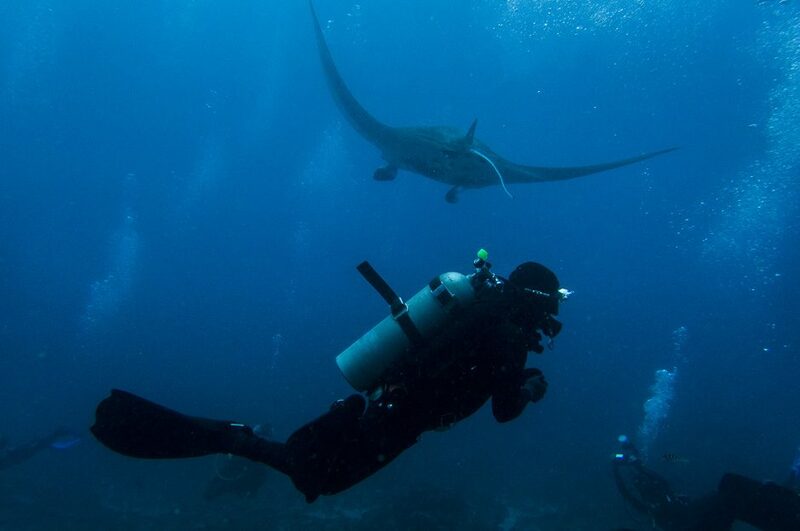 Each dive location offers its own unique thrills. For instance, swimming through the hatchways of the old sunken US Army transport is a Facebook moment, particularly when you tell your mates about the 28C water, eels and sharks. Above all, if you’re planning to dive off Bali, you need a solid base – a place to hang your hat and keep your dive gear, and who knows, maybe laze by the pool, have a spa and dine in great restaurants, perhaps even one by the sand as the waves lap lazily on the beach. And after you’ve dined maybe have a drink or two as you regale your astounded audience around the bar with hair-raising tales of your audacity and diving prowess. By far the best places to do the above is the resort Karma Kandara at Uluwatu, right at the very tippy bottom of the island of Bali – and nearby Karma Jimbaran resort. With some of the best restaurants and bars of any resorts on the island as well as expert advice and established relationships with all the best dive companies, Karma is the place to stay while you’re in Bali. The ideal day staying at Karma Kandara might include: early breakfast at Di Mare overlooking the ocean, spend the day diving, then relax with a hot stone massage followed by a mellow dinner on the sand at Karma Beach Bali.